The Fitness Equation: Diet Tip of the Day: Soy Food Alternatives - Friend or Foe? Diet Tip of the Day: Soy Food Alternatives - Friend or Foe? The claim that soy-based food alternatives are "healthier" options for us is one of the biggest misconceptions in the food industry. You can't escape soy - it's everywhere. There's the obvious products - soy milk, tofu burgers, vegan cheese, etc. Then there are the less obvious products - basically 90% of the processed foods you buy at the store or eat in a restaurant (especially fast food places- most of them use soybean oil in their food): non-dairy creamers, bread, margarine, frozen meals, canned foods, protein powders and drinks - you can't escape it. 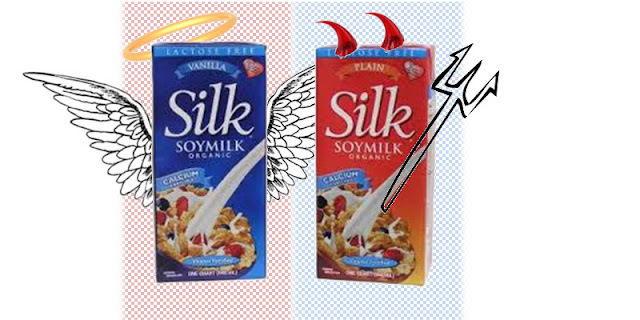 Soy disguises itself under many pseudonyms, such as "lecithin" or "textured vegetable protein", and I can only imagine how difficult it would be to have to live with a soy allergy - you'd have to cut out all processed foods entirely (not a bad idea)! First off - not ALL soy is bad for you. Soy sauce, for example, is fine because it is processed the same way wine is - i.e. fermented - which destroys some of the harmful ingredients found in soy's naturally occurring state. However, most products that westerners enjoy are unfermented soy, which contains toxins that have not been destroyed by fermentation, not to mention it is often processed and chemically manipulated until there is no longer any sense of nutritional value. Processed soy has been linked to allergy symptoms, digestive issues, fatigue, respiratory problems, and even cancer. On top of all of that, soy is "estrogenic", meaning that it acts as estrogen, tricking your thyroid and damaging your metabolism - leading to weight gain. There is a lot of research out there saying soy is either extremely good or extremely damaging for your body - it's hard to know what is actually accurate. The truth is, everyone's bodies will react differently, so there isn't really a suggestion on how much soy you can consume without risking weight gain or other health risks. I haven't conducted any studies or performed any analyses myself, but do have first hand experience with soy and how it can be detrimental. Growing up, my mom was a health fanatic and was convinced dairy and meat were evil villains. I'd have soymilk with my cereal, tofu hotdogs and burgers as "junk food", and even tofu-based chocolate pudding for dessert. Interestingly enough, I also had a lot of digestive problems and sinus infections. My mom took me to a lot of doctors, who told me I was "allergic to dust" and tried to prescribe me all kinds of medications as a solution. My mom is a firm believer in taking as little medicine as possible, however, so she just took me from doctor to doctor until one of them realized I had a high soy diet and suggested cutting it out to see the effect. Surprise, surprise (well, to my mother's surprise mostly)...my allergy symptoms subsided and my digestive issues went away entirely! I've done my best to avoid soy ever since (within reason, as it is nearly impossible to cut out entirely) and try to cook as much food as possible at home so I know what's going into my meals. All in all - I do not believe that having a tofu burger every now and then will cause you to keel over and die. But I also don't believe that tofu is the saint it is painted out to be by the food industry. Most importantly, it should not be overlooked as a processed food just because it is a low calorie, low fat alternative to other, more naturally occurring foods and should be avoided if you are trying to lose weight as a precaution.